It’s summer. Seriously. How did that even happen? Now that we are halfway through the year, it feels like forever since Jordan and I sat down to make our 2018 goals. One thing that was high on our goal’s list was to travel to a few places left on our Europe bucket list. This weekend we’re crossing one of those off the list: Amsterdam. While I’m a little nervous to fly with a baby who is almost 3 months old, I’m glad to know that the rest of our trip is well planned out. We booked flights early-ish, we’re staying in a great hotel, and we have plenty of money in our vacation travel account to cover the trip. But what about when something amazing comes up that you haven’t planned for? Last week I found out that my favorite yoga teacher is doing a four-day retreat on an old English estate (think Downton Abbey). The retreat was filling up quickly (it sold out in a matter of hours) and I wanted to book my spot. But it’s not cheap. I didn’t know this retreat was happening so I didn’t plan for it. I wasn’t about to take money out of our joint savings or put it on my credit card. Plus, I felt guilty about all of the other, more productive things, I could do with that cash. Luckily, I had something else I could use to make all of my self-care dreams come true: my fun money account. While I use some of this fun money almost every month, I rarely use it to make a purchase this big. It was a great reminder that life, and managing money, is better with a little fun. Life’s all about choices. And here’s a choice: would you rather have $761k or $147k? This week begins part 1 of a 4 part investing series. Don’t scroll past this just yet – I promise it will be good. We’re going through what investing is, what exactly those fees are all about, we’ll walk step by step through 2 DIY investing options, and we’ll finish off with a question you might be wondering,”should I hire a professional? And how much do they cost?” All of your questions are answered so you can take, “need to start investing” off your to-do list. I just want to have fun. And so do you, I’m sure. I was reminded this week just how important fun money is for your sanity, your health, and sometimes even your relationship. And, bonus, fun money can actually make you better at managing your money. Here’s why you need it (psychology says so) and how to set it up. Again with the loans. I was so thrilled to have my student loan repayment story featured on NerdWallet this week. Not just because I love seeing that cute little picture of Henry everywhere, but also because I hope people read it and know that whatever their current situation, it can get better. Much better. Why not you? I love graduation season. I love seeing “Class of 2018” and “Congratulations Katie” signs all over the place. But most of all, I love graduation speeches. And this year, Mindy Kaling’s is one of the best. It’s hilarious, true, and inspiring. There are too many good parts to share them all, but here’s just a taste: “I’ve covered a lot of ground today, not all of it was serious, but I wanted to leave you with this: I was not someone who should have the life I have now, and yet I do. I was sitting in the chair you are literally sitting in right now and I just whispered, “Why not me?” And I kept whispering it for seventeen years; and here I am, someone that this school deemed worthy enough to speak to you at your Commencement.” Watch it. Read it. It’s good. Why we want what we don’t need. This article explains exactly why when Jordan and I bought a new bed frame a couple of years ago, we ended up redecorating our entire room. Did we mean to? No. Did we need to? No. But it does look pretty great. If you want to stop falling into the trap of buying what you don’t need, read this. A gem of advice: Always curate your life to include only the things that bring you joy and happiness. The worst kind of gap. The wealth gap. This article breaks down why women don’t invest, and how to change that. 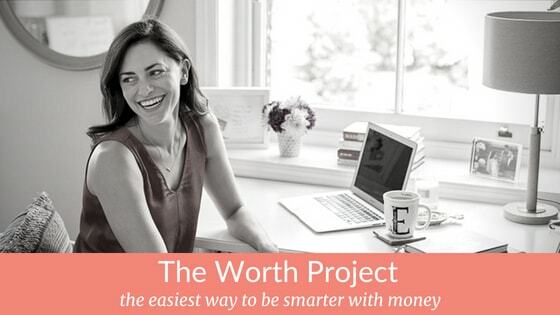 It’s a perfect read for any woman – or man – who is struggling to invest. (I’m fairly certain he was talking about fun money).